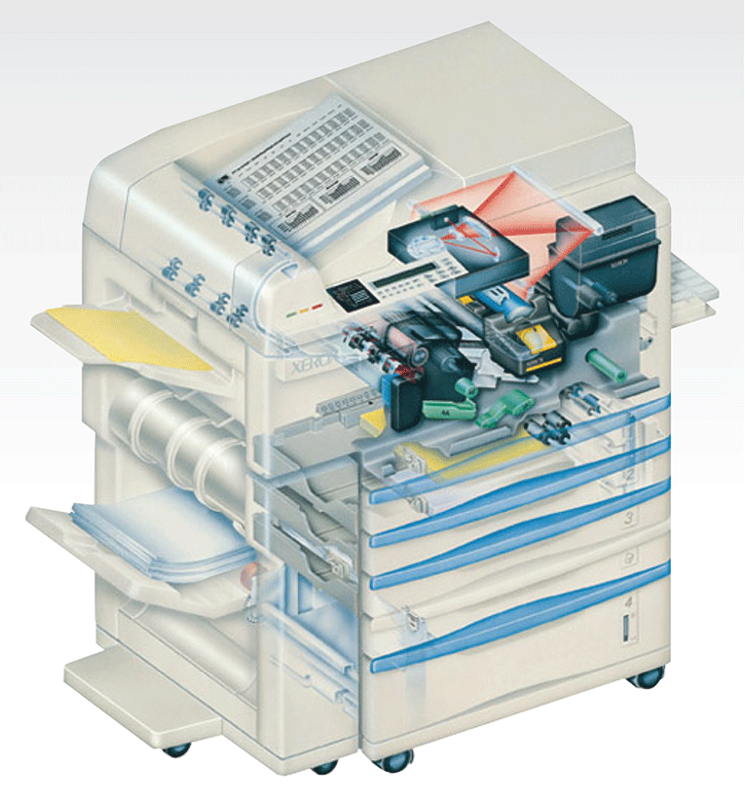 A four-drawer, tabloid-size, duplexing photocopier for Xerox Corporation. This was drawn primarily from orthographic blueprints and some details photos. The first steps was to produce aa accurate 1/4-scale diametric pencil rendering.